June 2017. 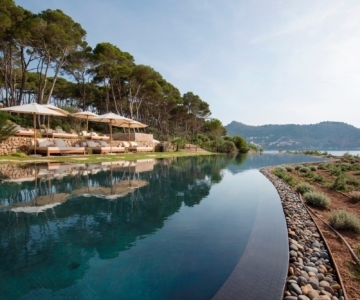 Boutique Hotels in Palma de Mallorca are booming. Palma Old Town is the focus for much of this activity with six hotels listed as opening/under refurbishment in 2017. Here is an overview over recent Hotel openings, upcoming Hotel openings as well as developments and awards in the Hotel industry. 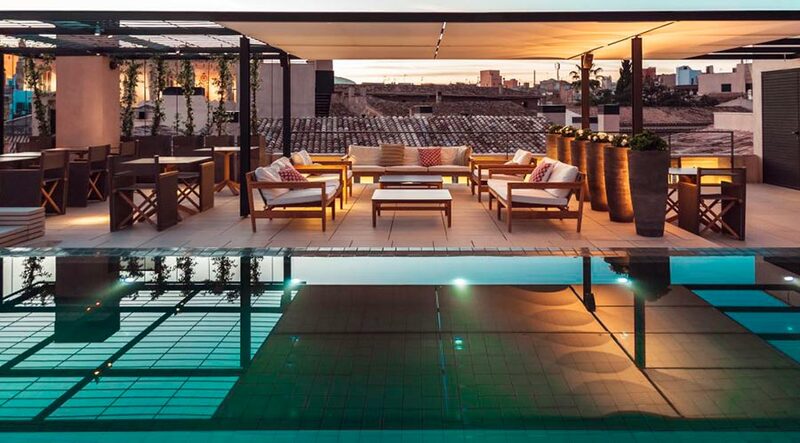 The luxury Boutique Hotel Sant Jaume located in the heart of Palma’s old town has opened in June 2017 as the largest of the four boutique hotels in the IT Unique Spaces Group together with Boutique Hotels Can Cera, Calatrava and Can Alomar. 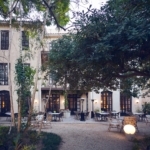 The hotel building is the refurbishment of a mansion dating back to the 18th century and features 36 rooms and suites. It is located just few minutes’ walk from Palma’s main Borne Boulevard and Jaime III shopping street. The reception area, hallway, lobby, restaurant, cocktail lounge and spa are located on the ground floor featuring stylish contemporary interiors and art. The hotel’s exclusive Suite San Jaume is located on the top floor with its own large terrace. The fourth floor has a sundeck with plunge pool and views across the old city to Palma Cathedral. A main feature of the hotel is its restaurant headed up by Mallorca’s first Mallorcan Michelin star chef, Tomeu Caldentey and is called “Tomeu Restaurant amb Arrels” with the “Bar Tomeu Marcerados & Co” where Tomeu is reviving the tradition of an age old technique of maceration using only natural products. Located in the centre of Palma’s historic old town in the La Lonja quarter (old corn exchange) and within walking distance of all the main cultural sites, restaurants, shopping and bars. This four star hotel is a renovation of a 19th century building renovated to blend contemporary comfort with Mallorcan style. The hotel features the Ritzino Cocktail Bar and Restaurant based on the same concept as the established Ritzi Restaurant in Puerto Portals and offers a selection of Mediterranean and Italian style tapas together with a range of fresh pasta dishes plus a superfood menu of health conscious dishes. 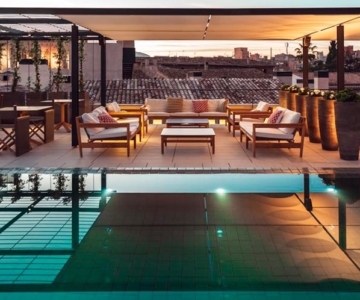 Other features include a rooftop terrace with views over Palma Cathedral and the old city. The recently opened five star Hotel on the Playa de Palma is aimed at adults only and is one of 3 new five star hotels that have opened in this area in the past 3 years. 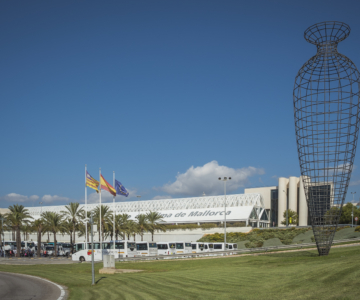 It is also part of the “Palma Beach” consortium which is heavily investing in this area to take it upmarket and transform into a Mediterranean “Miami Beach” with close access to Palma and the international airport. Hotel Llaut Palace, Playa de Palma. This five star hotel officially opened at the beginning of this year and is another example of the changing image of Playa de Palma. Owned and operated by the German Iti Hotel Group, it has 186 rooms and suites on seven floors all based on a clean contemporary design. The location, which is a few minutes’ walk away from the beach looks out over a pine forest park which will later this year be opened and maintained by the hotel offering hotel clients direct access to the beach from the hotel. 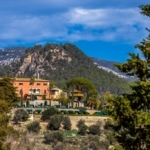 The Belmond La Residencia hotel, located in one of the most picturesque villages of Deià has opened with six new suites offering panoramic vistas over the Sierra Tramuntana and the picturesque village of Deiá. There are 4 new deluxe suites and 2 junior deluxe suites. All feature their own private terraces with Mediterranean planting and four have small private pools. Two of the suites are also inter-connecting, making them an ideal choice for families. 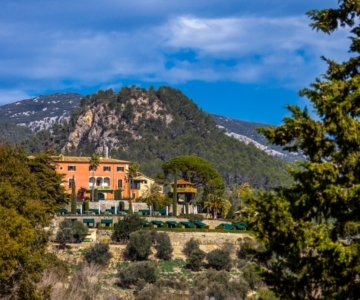 The suites are all named after one of the peaks of the Sierra Tramuntana Mountains (now a UNESCO World Heritage Site). Currently under construction, this five star hotel boutique hotel is located at the start of the old town immediately inside the original old walls of the city. When complete it will feature 56 rooms and become an important part of the revival of this outer area of Palma’s historic old town that faces the sea. Completion date to be confirmed. 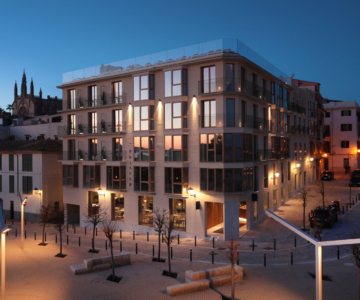 This will be the first hotel for the Protur Group in Palma and is located on the site of an old military building next to the Police Station on Palma’s Paseo Mallorca. It will be a 5 star hotel featuring 100 rooms on 8 floors with a restaurant, spa/gymnasium, swimming pool and parking. Completion date is scheduled for late 2017. Cappuccino Hotel, Plaza Cort, Palma. Work is being completed on the first Cappuccino Hotel in an iconic 1930’s art deco building on Plaza Cort in front of Palma’s Town Hall. The Cappuccino Group, which started in Mallorca and is renowned for its stylish cafes and restaurants, has outlets in main cities on the Spanish Mainland, Ibiza, Beirut, Jeddah and Dubai. The hotel will feature 36 rooms with 28 suites, a small cinema and a spa/wellness area. There will be a large terrace garden with a bar specialising in Spanish wines and a Cappuccino with be a “Tahini” Japanese restaurant in the central lobby area. The Belmond La Residencia has entered the Conde Nast China Gold List – a prestigious listing for hotels worldwide. The Boutique Hotel Can Alomar has been awarded by the online booking portal, Trivago, as the best five star hotel in the Balearic Islands. 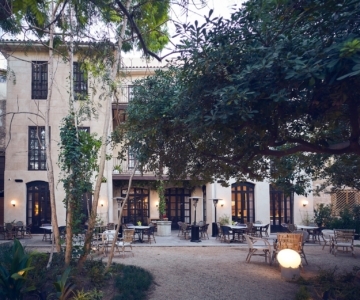 Finally, the San Francesc Singular Hotel, in the heart of Palma’s old town, still holds its accolade of best hotel in Spain and Portugal by Conde Nast Traveller readers.